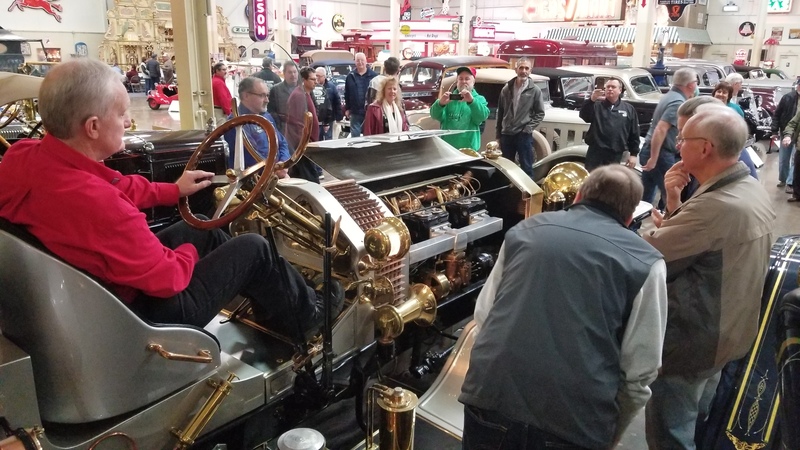 WXYZ-TV #Explore comes to Stahl’s Auto Collection! WXYZ-TV Channel 7 came out and filmed an episode of their #Explore web series last week. They highlight places in Metro Detroit that may fly under the radar. 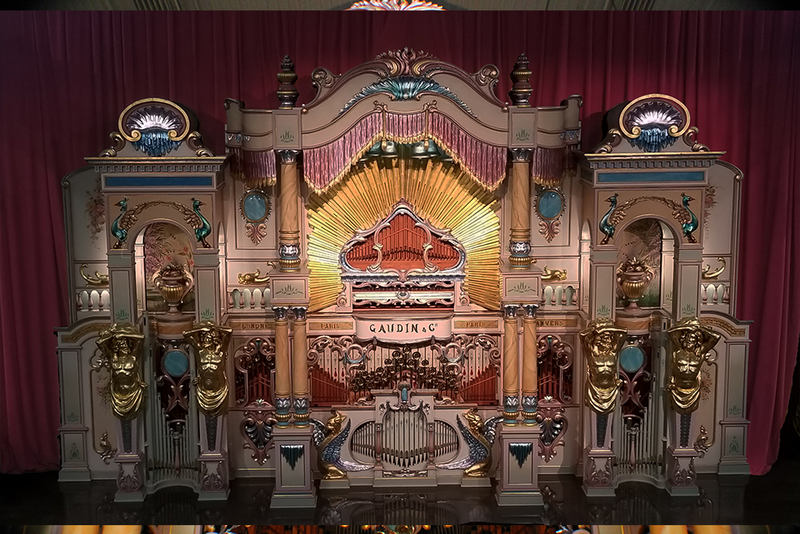 We hope that all who see this wonderful video see what they are missing and make a plan to visit! Warmer temps are coming our way which means Cruise In season is approaching! Stay tuned for upcoming information regarding our Thursday Cruise Ins and so much more! Click here to see the #Explore video from WXYZ-TV Channel 7! 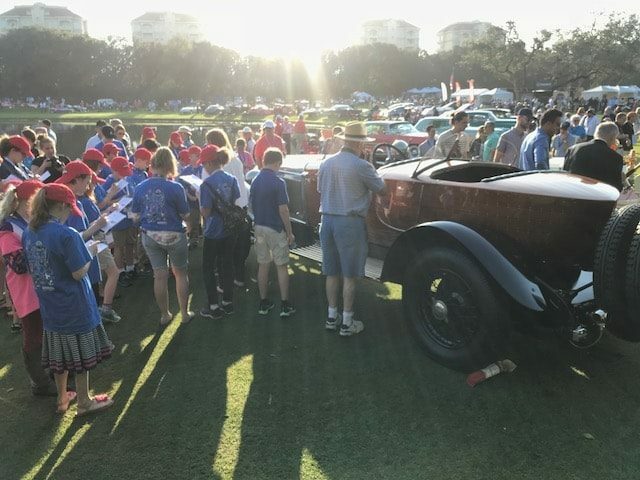 This past weekend, we were able to share our 1924 Delage with the attendees of the 2019 Amelia Island Concours d’Elegance on Amelia Island, Florida. The weather was warm and the cars were hot! Although we did not win in our large circle of amazing cars, we won a spot in many hearts. 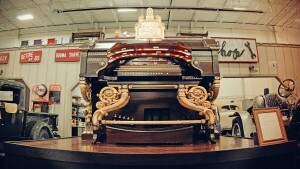 People just loved seeing the beautiful mahogany body of this gorgeous vehicle. He drew lots of attention and was even judged by the Hagerty Youth Judging program. 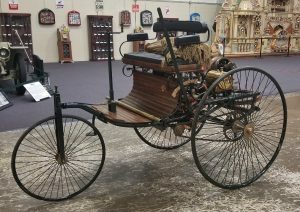 What a great way to get the kids involved in the car collecting hobby! Keep the history alive! We will be hanging out with WXYZ Channel 7 at the North American International Auto Show at Cobo Center in Detroit, Michigan on January 21 from 11:00-5:00! We will be set up in the lower atrium with the Channel 7 crew. We will have our 1939 Ford Midget Racer on display. 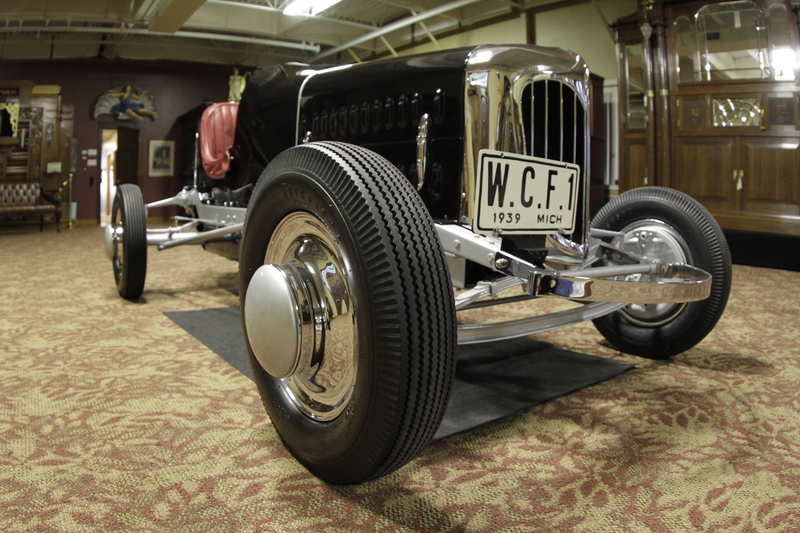 This one of a kind car was built just for William Clay Ford, Sr. for his 14th birthday! At that time, 14 was the legal driving age. 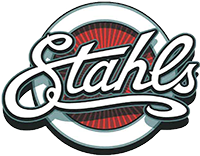 Stop by and say hi, pick up a flyer and talk to the staff about hosting your next corporate event at Stahls! It is truly a one-of-a-kind experience…the sights, smells and even sounds! 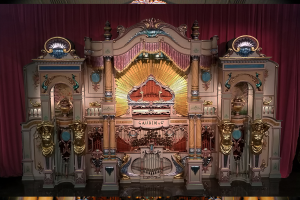 The mighty Wurlitzer Theatre organ, the elegant and powerful Gaudin Dance Hall organ and so many more! You have to come experience this place for your self. Hope to see you there! A wonderful turnout for the Stahls/Wayne Funk Christmas Fundraiser for Vietnam Veterans! Thank you to everyone who came out on Wednesday, December 19th and helped us raise money and food for the Vietnam Veterans Chapter 154 and brought so many toys for the Marines Toys for Tots drive! We had a record number of donations of food and toys! Thank you to the No Name Car Club, Father and Son’s Pizza, and Marco’s Pizza of Chesterfield for all you do to make this event great! A special shout out to First Place Lounge for holding your own toy drive and dropping the toys at the museum. Visitors got to see the new additions right before they are being tucked away for a bit. 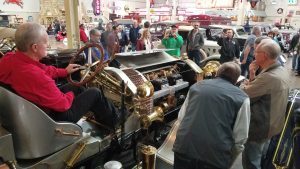 They also got to see the 1916 Hudson go for a quick spin! Be sure you don’t miss out for next year, bigger and better things are in the works! We start collecting food and toys on Black Friday! Merry Christmas and Happy Motoring New Year to all! Mary and Ted Stahl win Heritage Tourism Award in Lansing! 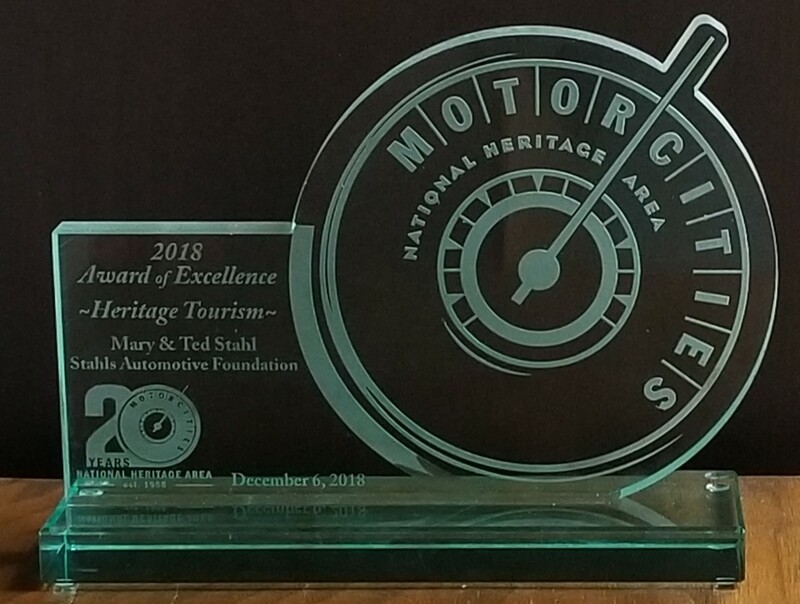 On Thursday, December 6, the MotorCities National Heritage Area Partnership honored two individuals and eight finalists who have distinguished themselves in the areas of auto and labor heritage with its 5th annual Awards of Excellence. 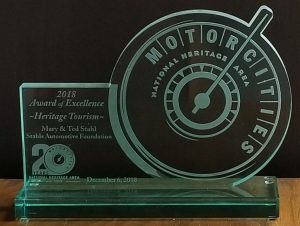 The winners in each of the three categories — preservation, education and interpretation, and tourism, were announced during Michigan Auto Heritage Day, an invitation-only event for state lawmakers in the Capitol Building in Lansing. Sandra Clark, director of the Michigan History Center, received a MotorCities Champion Award. When MotorCities was being created, there was a lot of talk about Detroit as the “Motor City,” however, it was Clark who said that the story is so much bigger. In her role at the Michigan History Center, Clark added the true statewide perspective. Her leadership was critical in receiving the state’s endorsement in order to move up to consideration for the heritage area. Clark went on to serve as chair of the MotorCities Board of Directors and continues to advocate for the state’s auto history. 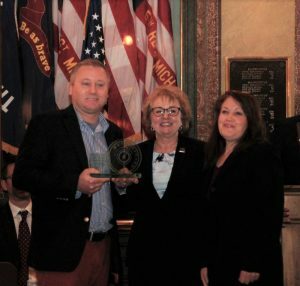 Senator Steve Bieda (D-Warren) was also honored with MotorCities’ annual Milestone Award. He has served as both a Senator and Representative of his local district in the Michigan state legislature since 2002. He helped found and co-chairs the Michigan Legislative Auto Caucus, providing a forum for legislative discussion about all matters related to the auto industry in the state. 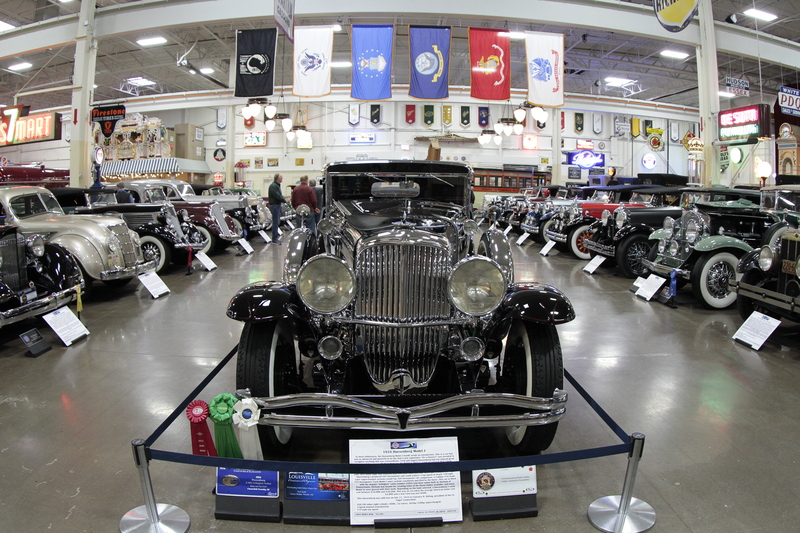 It was in partnership with that caucus that MotorCities launched the Michigan Auto Heritage Day and Awards of Excellence in 2014.
and General Motors Durant-Dort Factory One in Flint, which was the factory operated by Billy Durant and J. Dallas Dort prior to Durant’s acquisition of Buick in 1904 and the formation of General Motors in 1908.
and, the Model T Experience supported by the Manufacturing Academy in Jackson, which uses a cutaway engine of the famed “Tin Lizzie” to demonstrate to students of all ages how the engineering, manufacturing and business acumen of Henry Ford helped shape the auto industry we know today. and the R.E. 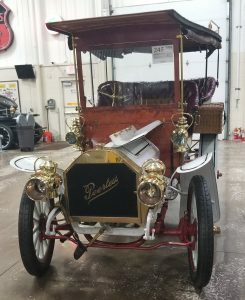 Olds Transportation Museum Calendar Project, which takes a Lansing institution beyond the limitations of its four walls and beautifully showcases how this museum, its vehicles and its stories truly belong to its home city of Lansing. We are pleased to announce that Mary and Ted Stahl won the award! Dan Stahl, Erin Stahl, staff, and volunteers of the collection were on hand to accept the award. Thank you to Motorcities Heritage group for all you do to keep history alive! 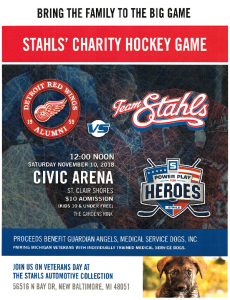 This weekend we will celebrate our 5th Annual Veterans Day Open House and Charity Hockey Game against the Detroit Red Wing Alumni! 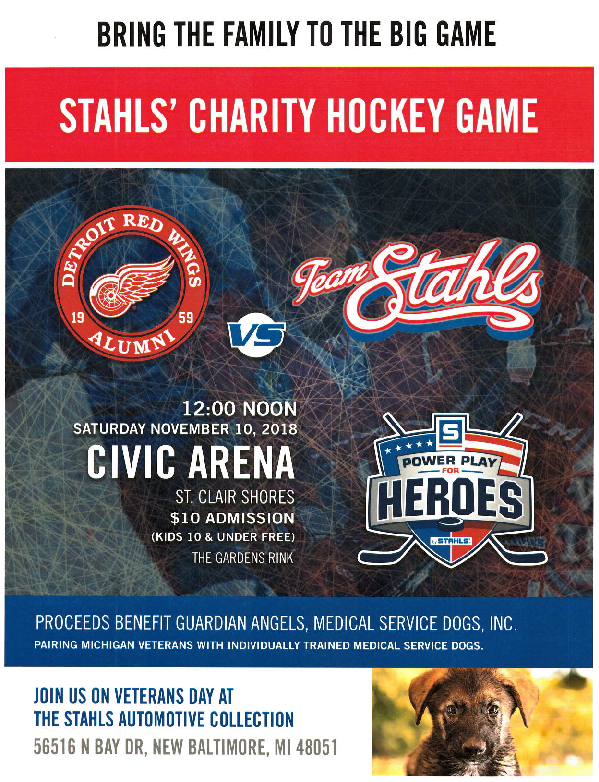 The game will be on Saturday, November 10 at St. Clair Shores Civic Arena beginning at 12:00 Noon. Admission is only $10, kids 10 & under are free! 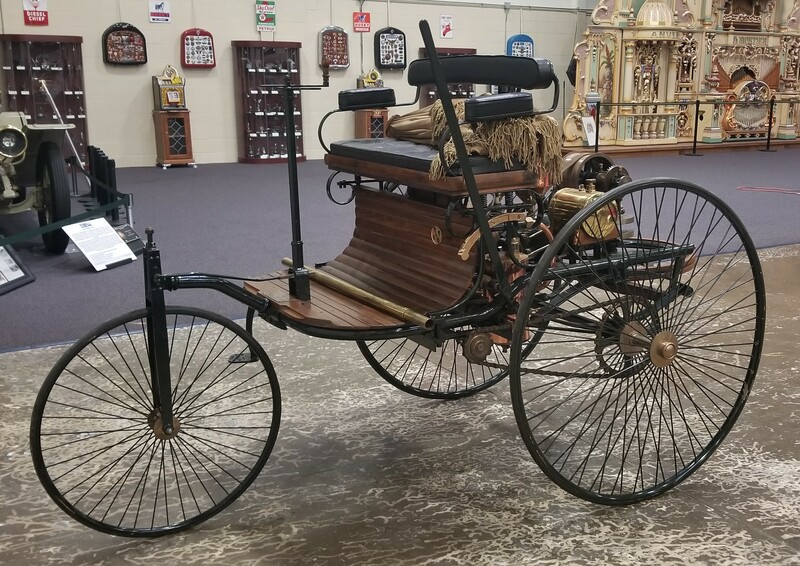 All proceeds will benefit Guardian Angels, Medical Service Dogs, Inc. Sunday will be our Open House at the Stahl Automotive Collection, 56516 North Bay Drive, Chesterfield, Michigan. 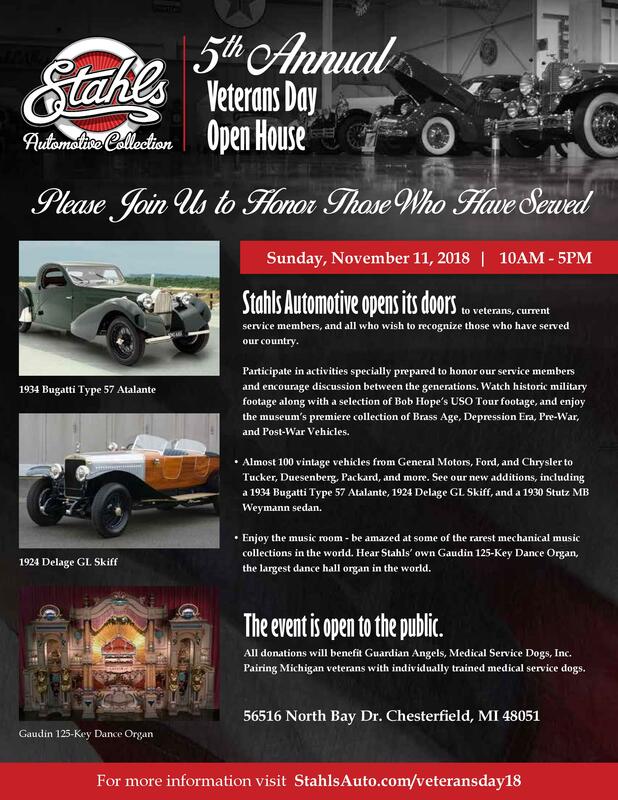 This event runs from 10:00 am – 5:00 pm and celebrates veterans and their families! 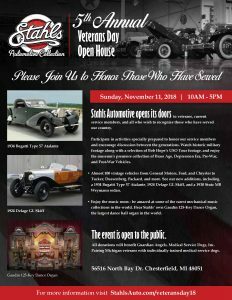 All are welcome, limited free valet parking, music, t-shirts, military items and more. Come share stories with laughter and tears and let our veterans know we care! Donations will be accepted for Guardian Angels at the event also. Meet the founders and a few of the dogs may be on hand too! We are partnering with WXYZ-TV Channel 7 in sponsoring the Detroit Dream Cruise! 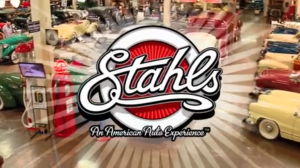 Channel 7 put together a 30 second spot about Stahls for Facebook. You can see it here. 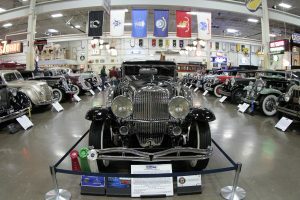 On August 18 at 7:00pm, you can watch the 2-hour Dream Cruise Special on WXYZ Channel 7 and see a more in-depth tour of the museum. We will have a spot on the west side of Woodward, north of 12 Mile along the cemetery fence. Look for our banners, stop by and say hello! 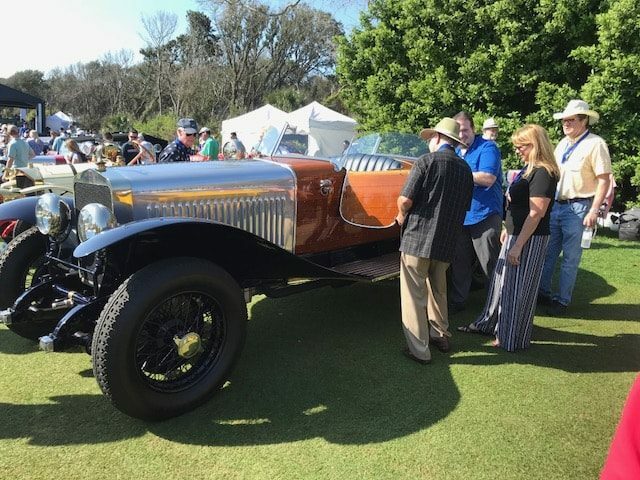 Our 1938 Mercedes-Benz 320 Cabriolet B traveled to the Sunshine State this past week and won Best in Class for Mercedes-Benz (Pre-1947) at the 2018 Amelia Island Concours d’Elegance! The show was moved to Saturday once again, due to threatening weather. The sun was out and a nice, cool breeze accompanied to make it a very delightful day! We hope we were able to entice more people to make the trip to Michigan and see all the wonderful cars in our museum and neighboring locations! Stahls Auto Museum!!!! We won Best Lunch City for the 2017 Great Race! Thank you to everyone who worked so hard to make this event run so smooth! 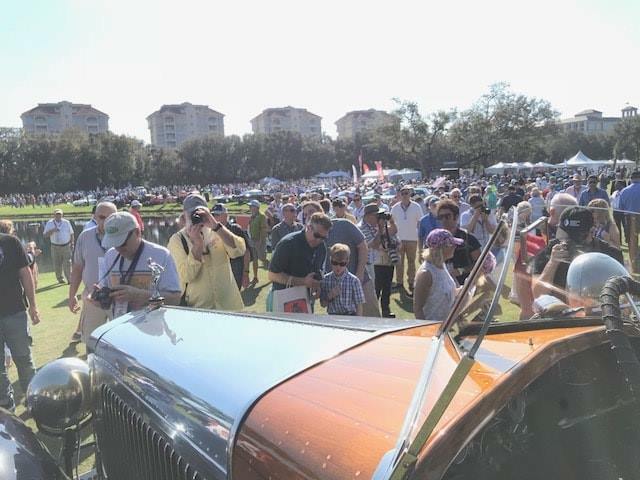 We had such a great time meeting all the racers and seeing the thousands of spectators line the streets to welcome the cars. For those of you that didn’t make it inside the museum, remember we are open every Tuesday from 1:00-4:00 and the first Saturday of the month from 11:00-4:00! 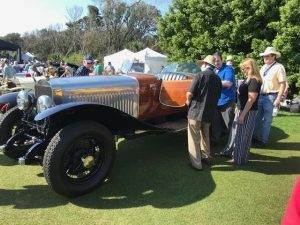 Mary and Ted Stahl were also awarded the Spirit of the Event award for their constant support of the race and for offering up their race vehicle so that two of our own racers whose car broke down the day before the race, could compete in their first Great Race. Of course, their actions did not surprise any of us that know them. Ted’s own words that we hear from him constantly are “Be Kind”, and he and Mary are great examples of that statement. Trevor Stahl and Josh Hull came in 5th in the Expert Division and 7th Overall! Stop in to see the beautiful trophies on display in the Music Room!